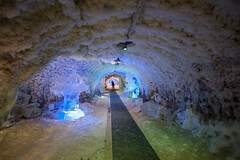 Ice scupltures in the Permafrost museum in Yakutsk. 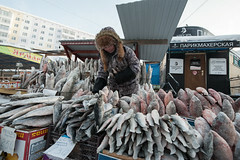 Frozen-fish market in Yakutsk. 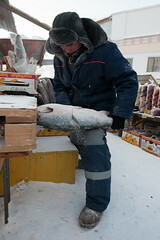 Frozen fish is a delicacy in Russia. 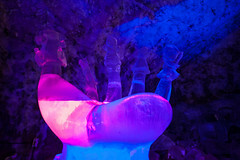 It is served as strips of fish carved directly from the frozen fish. It can also be in the form of salad with herbs as is done in Yakutia.